With several SFAI Skechers National Cup semi-finals taking place over the weekend, nine of the 10 finalists have now be confirmed. The U12 National Final will be an all Dublin affair, with both Shamrock Rovers and St Kevin’s advancing after tough ties against Aisling Annacotty and Mervue United respectively. In the U13 SFAI Skechers National Cup, Douglas Hall await the winners of the one outstanding match which sees Tramore welcome Leixlip United to Waterford next Saturday. Both Belvedere FC and Cherry Orchard will play for the U14 SFAI Skechers National Cup when they meet in the final – both sides navigated their way past tricky opponents in the semi-finals. Hanover Harps will be looking to become the first boys team from the Carlow District Juvenile League to lift a national cup, and they will face Stella Maris in the U15 Final after they travelled to Kerry and returned with a very impressive win. 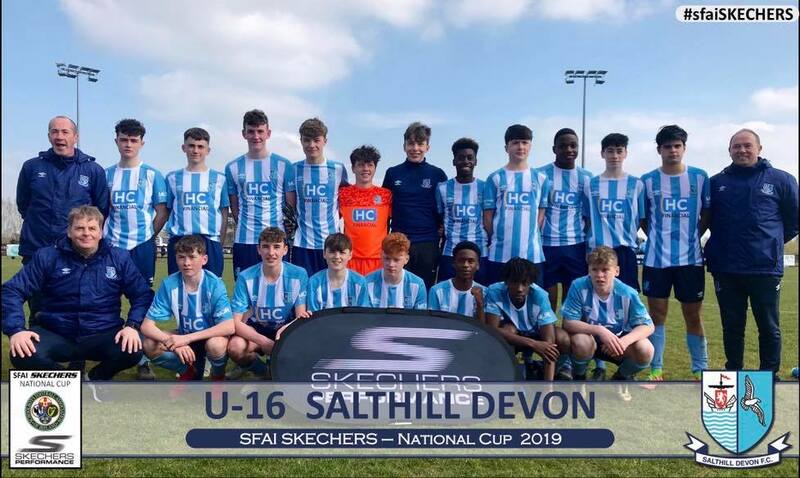 Finally, the U16 SFAI Skechers National Cup Final will be between Midleton and Salthill Devon – Midelton required penalties to overcome Douglas Hall, while Salthill beat Letterkenny Rovers. Details for the finals will be confirmed later this week and will be communicated to the appropriate league secretaries.